""GSP’s online surveys provided us with the exact data we needed, and in a much more efficient process than the spreadsheets we had been using."" 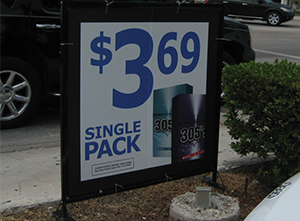 Circle K Florida has more than 400 stores across Florida that are open 24/7, 365 days a year. 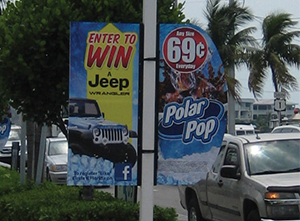 They are one of the eight Circle K regions in the U.S. Circle K Florida offers a wide variety of quality products and services in a fast, friendly and clean environment. 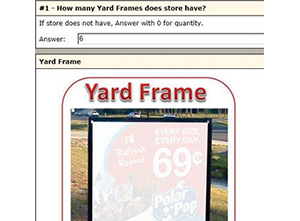 Routine store rides with Marketing VPs brought up questions of database accuracy. They thought there was a lot of wasted signage in the field and money being wasted. 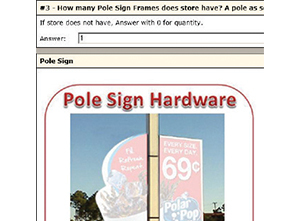 Circle K asked the GSP Account Management team to send spreadsheets to their Market Managers to verify and ensure proper quantities before reprinting outdoor signage (pole, yard and building signs) within a two-week timeframe. We recommended using our Site Intelligence software solution AccuStore™ as a better solution to a spreadsheet. The built-in Online Survey tool is ideal for gathering this type of information. After the GSP’s Lead Surveyor assembled the survey questions, imported the Market Manager email list, the survey was sent and was 97% complete within the 2 week deadline. The survey helped determine the exact number of outside signs actually needed, and highlighted how much overage was being printed and wasted—providing a large cost savings per order.